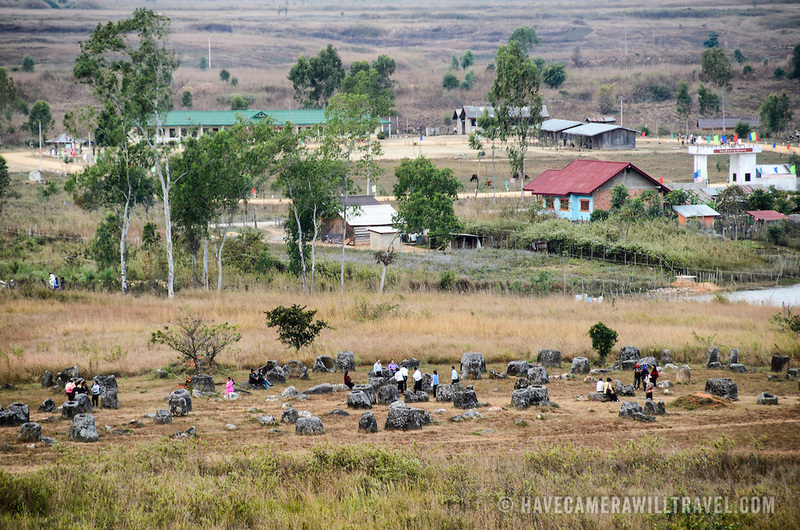 A cluster of stone jars next to buildings on the outskirts of Phonsavan at Site 1 of the Plain of Jars in north-central Laos. Much remains unknown about the age and purpose of the thousands of stone jars clustered in the region. Most accounts date them to at least a couple of thousand years ago and theories have been put forward that they were used in burial rituals.